Huawei has not finished releasing smartphones in 2018, and has revealed the Nova 4 — a large, bezel-less smartphone without a notch. That’s not so unusual these days, of course, but the screen has a punch hole in it to house the selfie camera instead. Here’s what you need to know about the phone. What does the Nova 4 look like? Huawei teased aspects of the phone through the Weibo social network more than once, but we’re only now seeing the full device. The 6.4-inch screen has a 2310 x 1080 pixel resolution, with a small punch hole on the top left which contains the selfie camera. The 172-gram body is made from glass and measures 7.77mm thick. It comes in four new colors: Black, blue, pearl white, and a bright honey red. Huawei says special nano-texture layers give the body a unique shine and reflective pattern. On the back is a triple-lens camera with two sensors inside a single section, and the third sits below on its own. 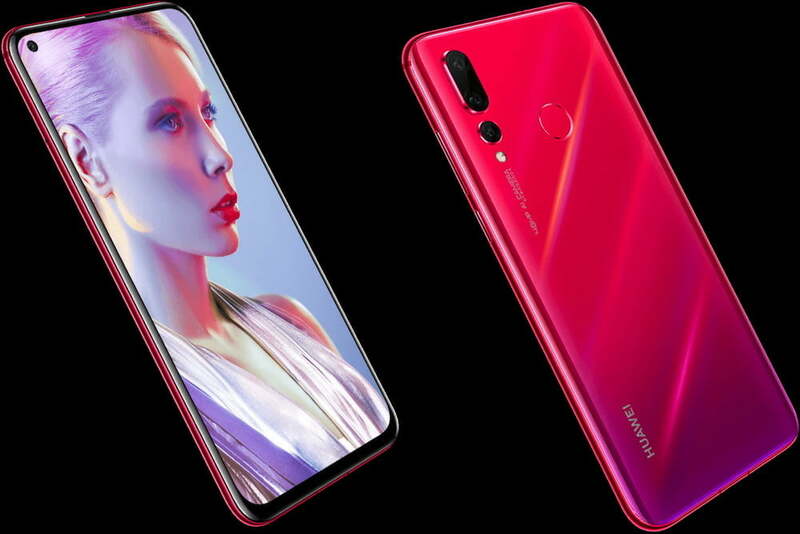 The design is reminiscent of the Huawei P20 Pro. A fingerprint sensor is set at the top center of the rear panel. This isn’t the first time we’ve seen a screen like this. Samsung has announced the Galaxy A8S, which has a similar punch-hole design to the Nova 4. It has also been rumored for inclusion on the Galaxy S10. Samsung calls the display type “Infinity O.” Despite Samsung being linked with the screen technology, Huawei has been investigating notch alternatives for a while. In July, a leak discussed a Huawei screen with a circular cutout rather than a notch. 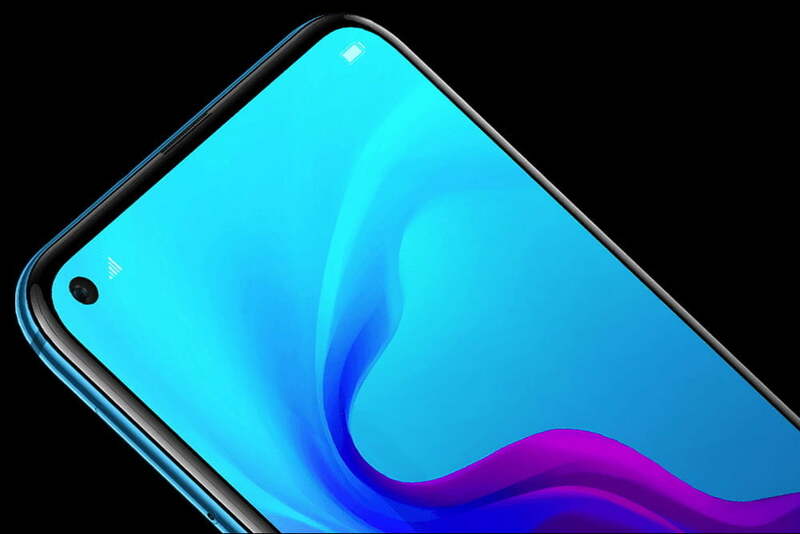 We are also expecting Huawei’s sub-brand Honor to launch the Honor View 20 with a punch-hole screen. The front camera set inside the punch hole has 25 megapixels and an f/2.0 aperture, plus electronic image stabilization for the 1080p video recording feature. Huawei will produce two different versions of the Nova 4 — a standard version and one it calls the High Version. It’s on the High Version that the rear camera becomes considerably more intriguing. The main lens has 48 megapixels and an f/1.8 aperture, and it’s joined by a second 16-megapixel super-wide camera lens, and a third 2-megapixel lens to capture depth of field. The standard Nova 4 swaps the 48-megapixel lens for a more modest 20-megapixel camera, while the other two lenses remain the same. The 48-megapixel camera includes a zoom feature from 0.6 (for the wide-angle setting) to 10x, although we’re not sure if this is a hybrid or digital ability yet. Huawei’s artificial intelligence modes will be available on both front and rear cameras. The 48-megapixel camera has us wanting to try out the Nova 4 now, but what about the other specs? It’s the Kirin 970 processor powering the phone, which is slightly older than the Kirin 980 inside the Mate 20 and Mate 20 Pro. It’s joined by 8GB of RAM and 128GB of internal storage space. The software is Android 9.0 Pie with the EMUI 9.0.1 interface over the top, plus the GPU Turbo feature to enhance mobile gaming performance. Additionally, the battery has a 3,750mAh capacity, there is a fingerprint sensor, Bluetooth 4.2, AptX HD audio support, and USB Type-C charging. The Nova 4 has been announced for release in China, where pre-orders are open until the end of 2018, with deliveries expected before January 15, 2019. The 48-megapixel Nova 4 High Version costs the equivalent of $490, while the 20-megapixel standard model is around $450. There has been no mention of the Nova 4 receiving an international release yet. The Nova series usually remains in China and selected other countries around the world, but has had brief international launches in the past. Updated on December 17, 2018: Added in news of the Nova 4’s official launch, along with images of the phone.